This summer I had the pleasure of working on my first client design project. 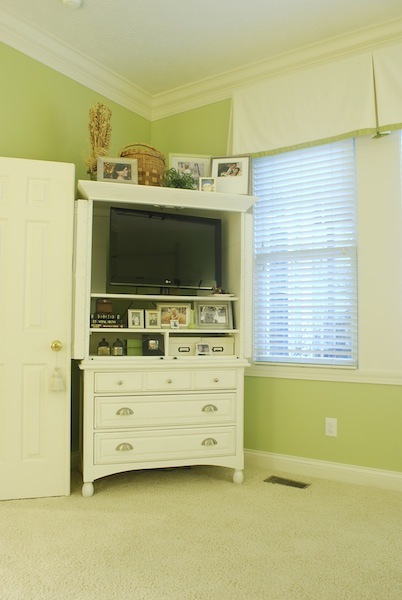 Kathy was looking to update her master bedroom and bathroom without undergoing a major renovation. I posted photos of the bathroom here, but today I thought I'd share some photos of the bedroom, as well as some updated bathroom photos. 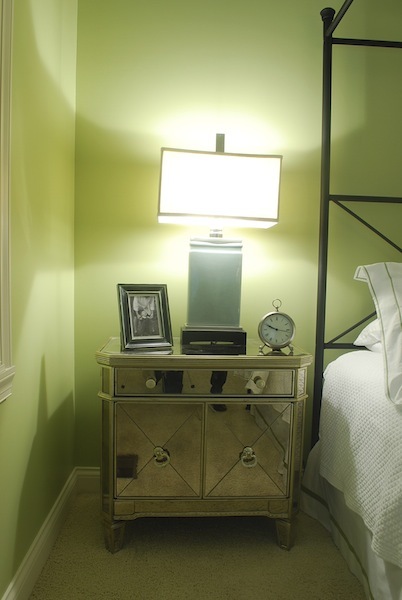 Kathy's favorite color is green, so we settled on Sherwin William's Hearts of Palm for the wall color. We ordered beautiful monogrammed bed linens with green trim, and had a custom bolster pillow made. 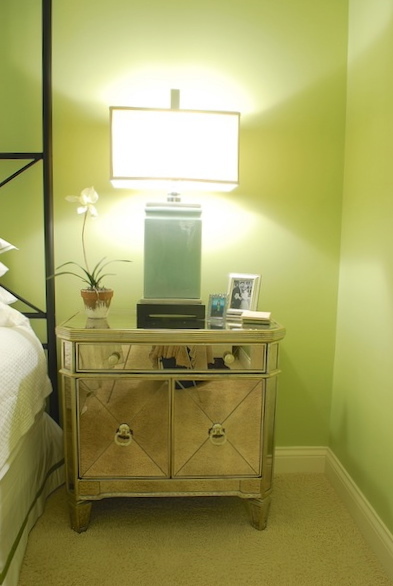 Mirrored nightstands flank the bed, and are much more proportionate to the bed than the original tables. We added a new mirror above the dresser, and we're still looking for the perfect lamps. Kathy is done with the room for now, but we'll eventually add some artwork and, if I can convince her, a rug and bench at the end of the bed. 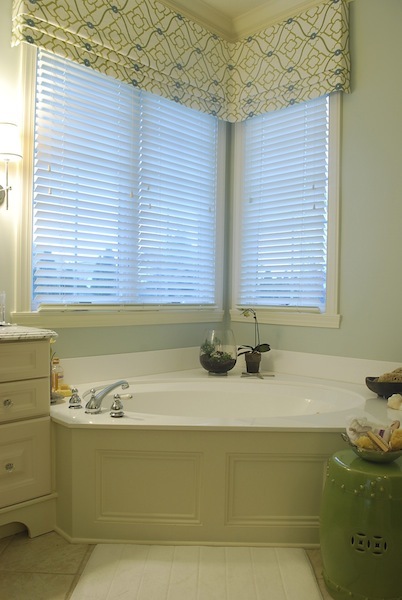 You can read about the changes we made to Kathy's master bathroom here. I had so much fun working on Kathy's home project that I decided to become "official." I launched my little business, Chadwick Interiors, and I am enjoying helping others express their design style. Congratulations on your new business, Carolyn! 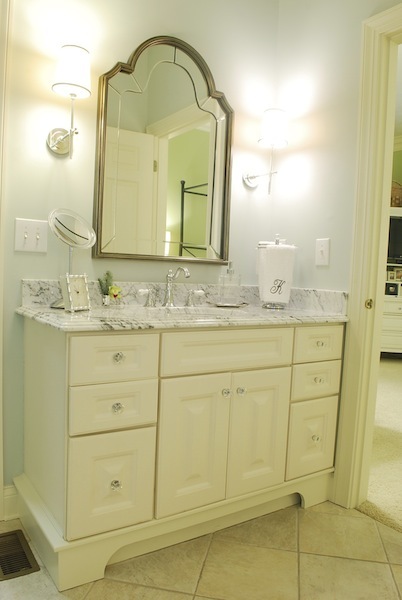 Your client's bedroom and bathroom turned out beautifully. You did a beeeeeuuuuutiful job. Love it all! You're going to be a raging success. What's the secret? A girl to play with all those boys??????????? Adorable and congratulations. Merry Christmas. I LOVE it! So glad to have you back. Your business will be a smashing success. I need to hire you to help me with my oak-ridden gem from the 80's. Merry Christmas! Fantastic job! 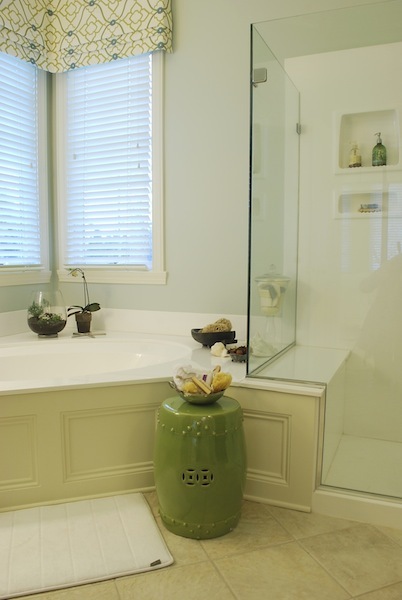 I love the changes and how you pulled it all together and updated the bathroom! Have a wonderful Christmas with your family. I loooove the symmetry of that dresser with the beautiful mirror above it! Also the details in the bathroom are lovely! !